Organising a big event can be stressful at the best of times, let alone at Christmas when expectations are high and people’s availability is low. Christmas events like Carols by Candlelight and Christmas fairs are a great way to bring communities together, but with calendars filled with parties, end-of-year concerts and other festivities, you have to work extra hard to get people to attend. Thankfully, there are plenty of ways you can make sure your Christmas event is not to be missed. Here are a few tips to get you started. When it comes to organising big events, timing is everything, and it’s never too early to start thinking about Christmas. Not only is it a busy time for your potential guests, but also for performers and other service providers, and preparing early will help ensure you don’t miss out. When setting your date, check whether it will clash with other events. To avoid this, consider holding your event in November to beat the Christmas rush, or, for an evening event like Carols by Candlelight, you could even hold it on a weeknight when people tend to have less on. While many Christmas events are held as fundraisers, you have to spend money to make money, and the way you allocate your budget could be the difference between hosting a Christmas cracker or a fizzer. A good place to start is to consider which items will give you the most bang for your buck. For example, for a Carols by Candlelight event, spending more on a well-known performer may draw larger crowds, while for a Christmas fair, attractions like rides could be a worthwhile investment. Whatever your priorities are, you’ll need to make sure you have enough cash. This may involve charging an entry fee, or, if you’re putting on a free event, seeking revenue from attractions. Sponsors are also a good way to boost your budget. 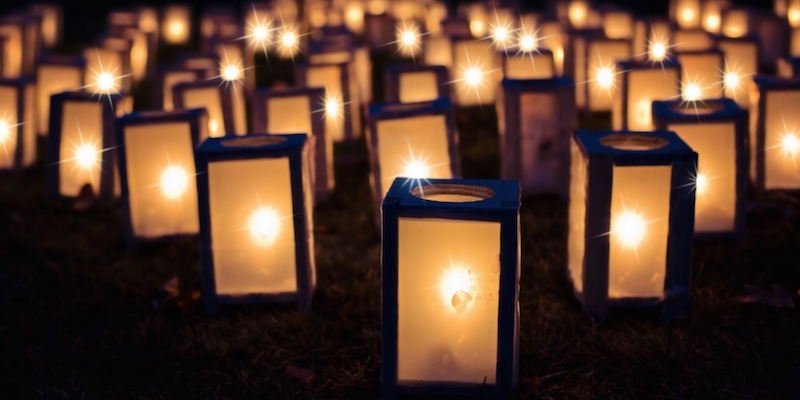 Parks and local sporting grounds are perfect for big events such as Carols by Candlelight, but, as with most things when it comes to Christmas, you’ll need to stake your claim as early as possible to avoid missing out. 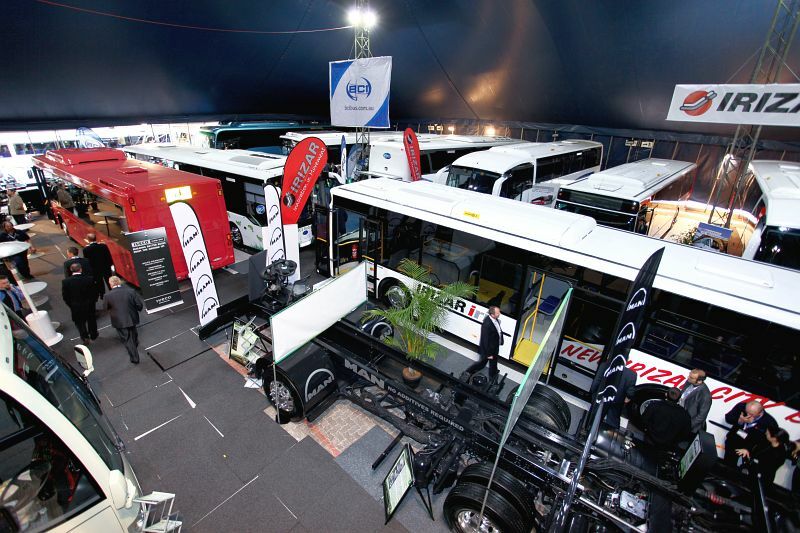 When choosing a location, make sure it has plenty of parking or access to public transport as this will impact your crowd numbers, especially during the silly season when cabs can be hard to come by. When organising an event like Carols by Candlelight, an outdoor stage is a must-have, and a tent or marquee is a great option to protect your performers and sound equipment and provide a focal point for the festivities. The material of the tent skins in our Regal range is the thickest on the market, which helps to retain sound and will create amazing acoustics for your Christmas carols. 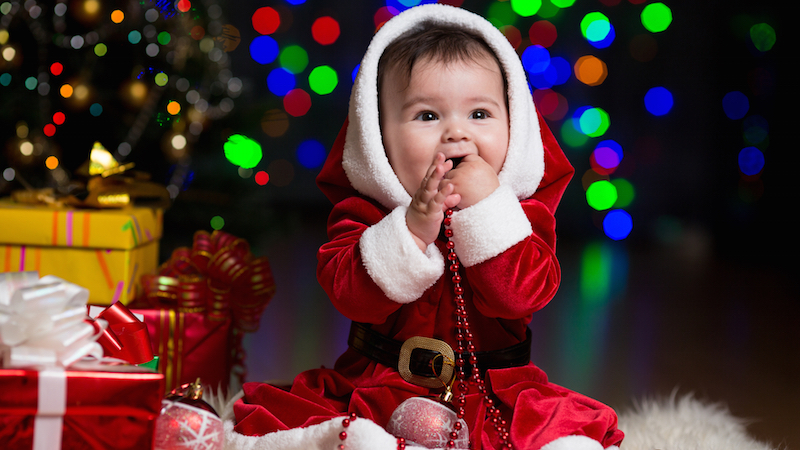 When it comes to Christmas events, it’s all about providing family-friendly entertainment and creating a fun, festive atmosphere that will have the kids begging to be there! 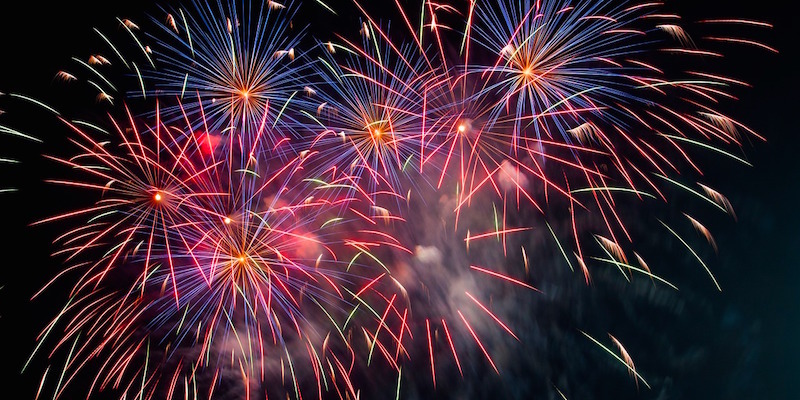 While Christmas lights and decorations, festive food and drinks and a visit from Santa are a given, attractions like a jumping castle, Christmas parade or fireworks finale are guaranteed crowd pleasers that will ensure your event is not to be missed. Of course, for a Carols by Candlelight event, the songs will be the star of the show, so make sure you’ve lined up some quality performers. You’ll also need to organise an MC, and don’t forget the candles – battery operated candles are a safe option that will provide a magical atmosphere for your guests. 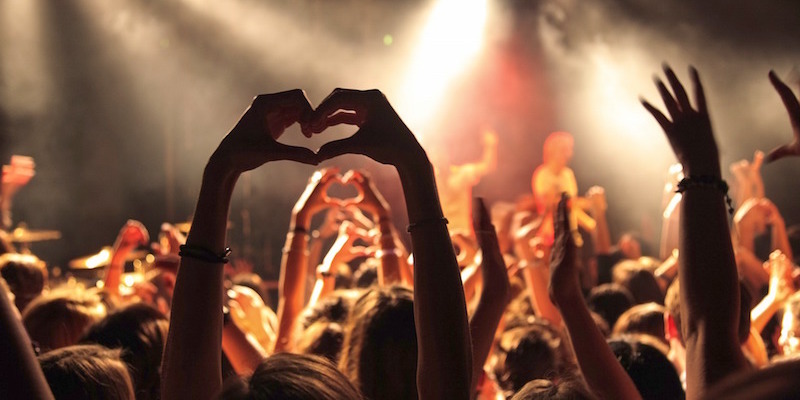 Once the logistics of your event are in place, it’s time to let people know about it! 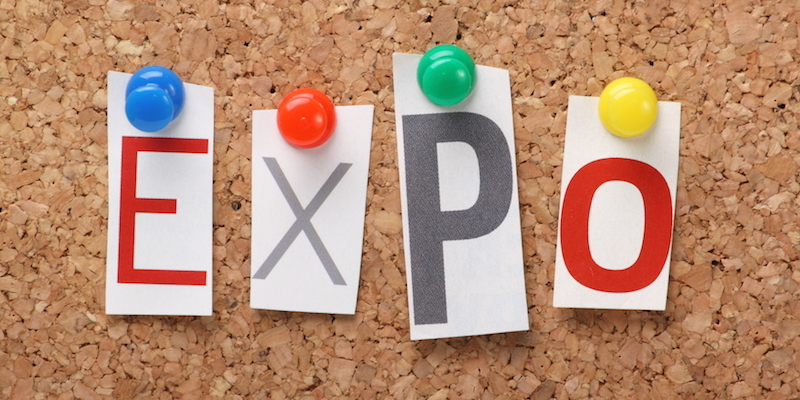 At this busy time of year, the more exposure your event receives the better, so make sure you promote it in your local newspaper, on social media and on street signs, and ask your sponsors to promote it too. As well as the time and place, let people know to bring a rug or a chair – and their best singing voices. When it comes to planning big Christmas events, timing is everything, and it’s never too early to get prepared. 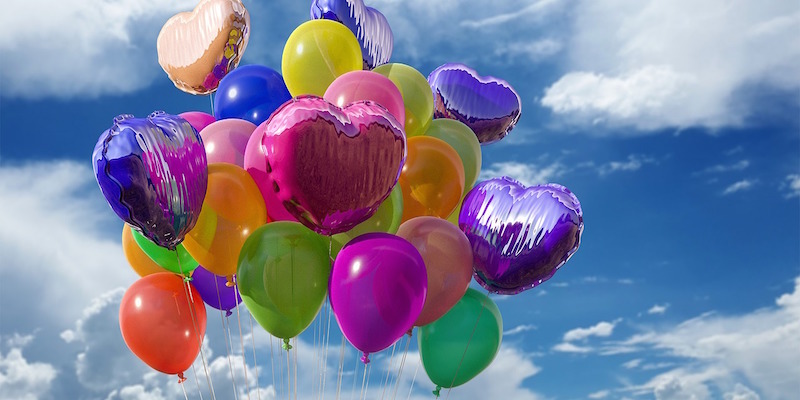 By locking in your date and location early, spending your money wisely, creating a fun, festive vibe, and spreading the word, your event is guaranteed to be a cracker. On the day, make sure you take the time to soak up the atmosphere and enjoy your achievement. It won’t be long before it’s time to plan the next one! What do you enjoy most about Christmas events? Every outdoor event is at the mercy of the weather, particularly here in Australia. It can be perfectly fine one day, with torrential rain the next. You can also face challenges like heatwaves, extreme UV levels, and high winds. 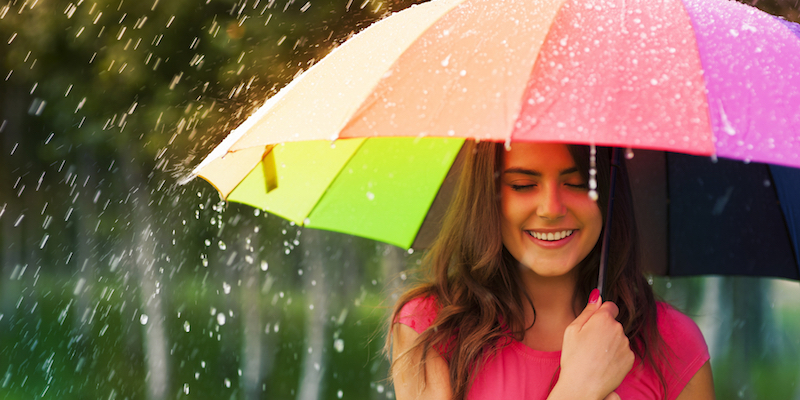 So, how do you prepare and save yourself the stress of an unexpected change in the weather? If you’ve spent months planning your perfect outdoor event, the last thing you want is to have to cancel because there’s a high chance of rain. The best thing you can do is plan for rain from the start, making sure you have plenty of covered space like a pavilion, marquee or tent to keep your guests safe and dry. It’s important to consider whether you’ll need the covered space to house your entertainment. For example, if you’ve planned an outdoor cinema or stage, you may need a tent that has the height and depth for that kind of display. You may need to have additional wet weather equipment on hand like ponchos, umbrellas and slip-proof safety mats to help people as they arrive and leave your event. If you have stall holders, musicians, kids’ rides or food trucks, you’ll need to communicate your wet weather contingency plan with them up-front, because some may be unable to operate safely in bad weather. Make sure you understand their cancellation policies so you don’t get any nasty surprises at the last minute. If you’re organising an event that runs from day to night or across several days, it’s a good idea to prepare for significant temperature changes so your attendees stay as comfortable as possible. This means providing plenty of shelter and heating for cold nights while providing shade and cool-down areas when it’s hot. Our tents are excellent for keeping your guests comfortable because they’re made of thick, robust material that insulates against extreme temperatures. And, our reinforced design ensures they stand strong against wind and rain. You should also think about providing your guests with blankets on frosty evenings, and make sure you keep water and ice plentiful on hot days. If you’re having a daytime outdoor event, you’ll also need to protect people from extreme UV exposure. The SunSmart website has a great checklist to help you get the systems and amenities in place to protect staff, volunteers and patrons from sun damage. This includes providing enough shade and making sure sunscreen is available. High winds and electrical storms can wreak havoc on the best-laid plans. 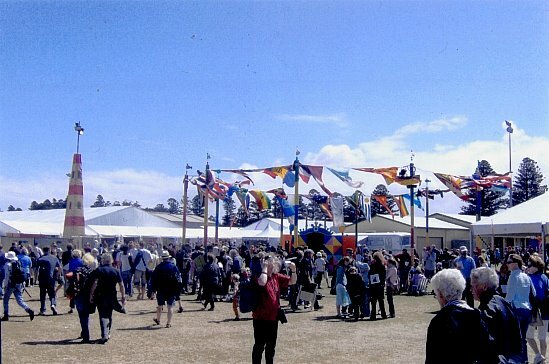 If safety is a priority, no other marquees, big tops or tents can surpass ours for strength and wind rating. 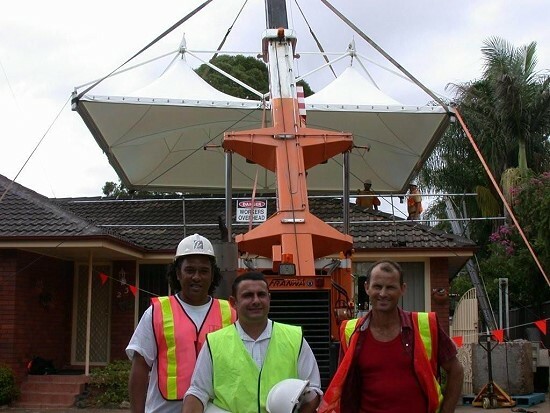 In 2007, we worked with the NRMA in Sydney to provide rain protection for 400 de-roofed houses during freak winds and storms. Once you’ve got your contingency plans in place, keep an eye on the weather forecasts as far in advance as possible. The Bureau of Meteorology gives seven-day forecasts for most areas. Some other sites can give longer-range forecasts, but they can be unreliable. The closer you get to your event, the more accurate the forecast will be. If big storms are a threat, keep an eye on the radar and warnings for a minute-by-minute check on where the storm is heading. 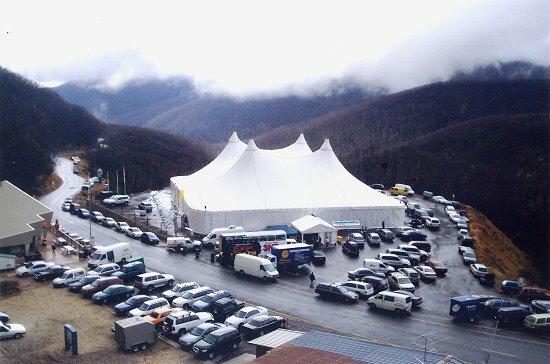 Many places in Australia can experience four seasons in one day, so it pays to be prepared for your next outdoor event. Having a wet weather contingency plan could be the difference between running a successful, profitable event or a washout. From giving attendees ponchos and blankets to providing plenty of shade and sunscreen, make sure your show can go on – whatever the weather. How do you plan for bad weather? 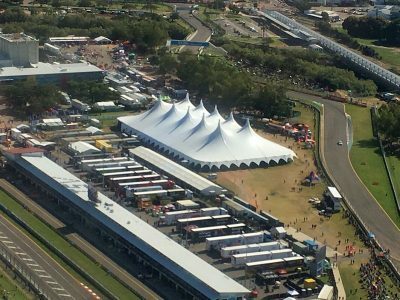 Here is an aerial snapshot of Somersault Production’s 50 X 95 metre Majestic Marquee, at the recent Castrol Edge Townsville event. Take a look at our entire Majestic tent and large marquee range for hire, on our website. 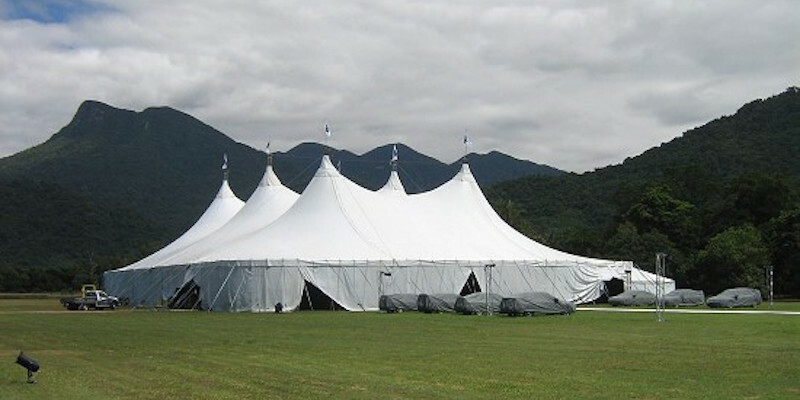 Somersault Productions is a leading tent hire company for events, Australia wide.